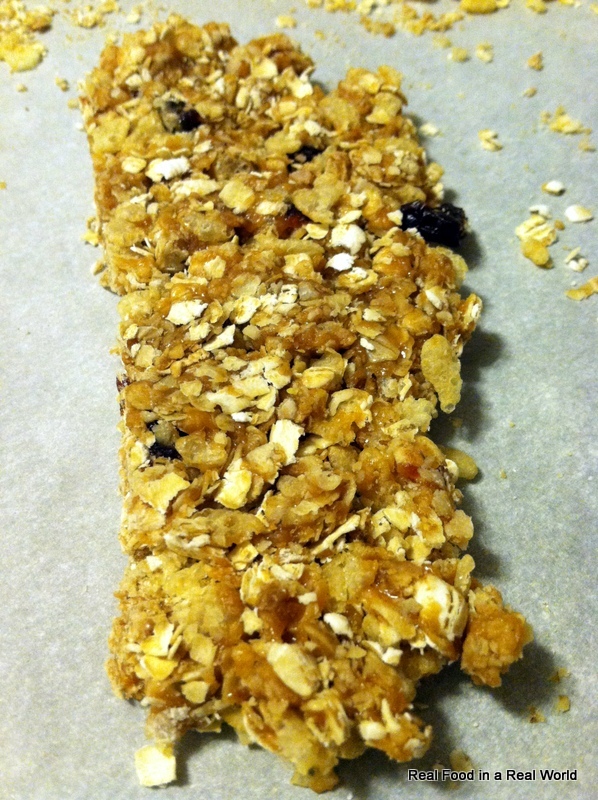 Up until recently, I didn’t know that you could make granola bars at home. I guess I never gave it a second thought, You go to the supermarket and there are like 9 million choices, seems like there is a granola bar for every taste. So, I made the decision to see if I could make my own. Hop on Pinterest or Google, and there are a million recipes. Since I’m incapable of following recipes, I find one and tweak it until I like it. I will probably do more posts with other styles and flavors, but this one is the current favorite in our house. I based this recipe on this one from Lauren’s Latest. add ins. I like mini chocolate chips, coconut, and slivered almonds. Hubby likes dried cherries and slivered almonds. One of the beauties of making things at home is you can add anything you like. I cut the dried cherries into small pieces, they are expensive! 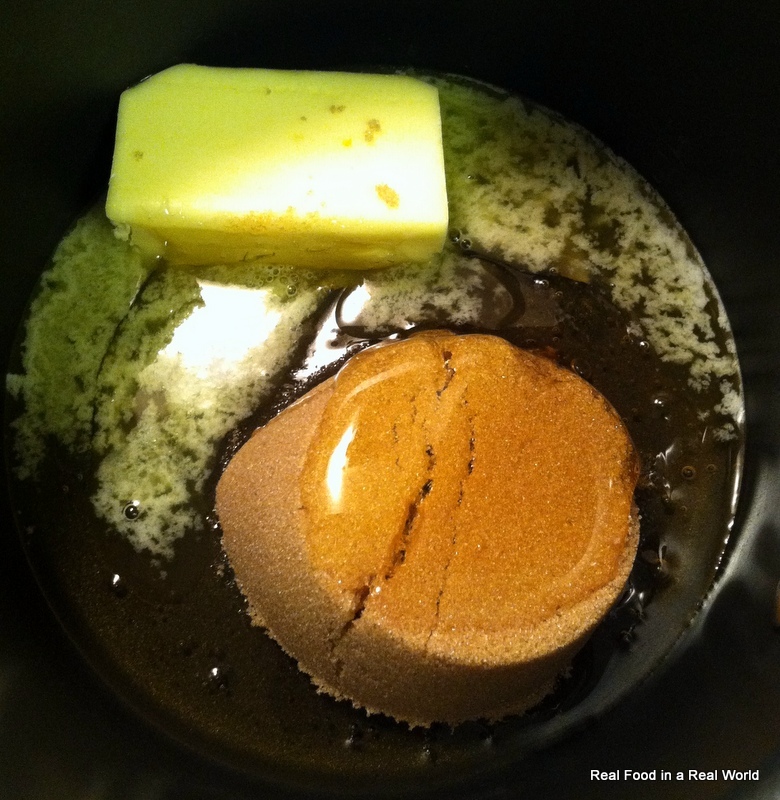 In a small pot, melt together the butter, honey, brown sugar and peanut butter until bubbly. Reduce the heat and cook (stir like crazy) for two minutes. 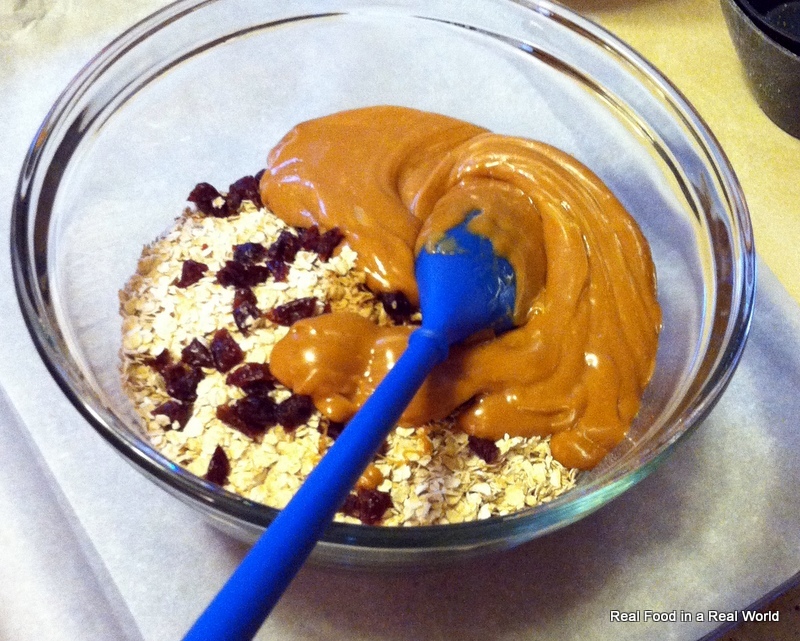 Pour your gooey mixture into the bowl with the oat mixture and quickly mix the ingredients. I usually start with a spoon and end up using my hands. Work quickly before it sets up, and don’t burn yourself. 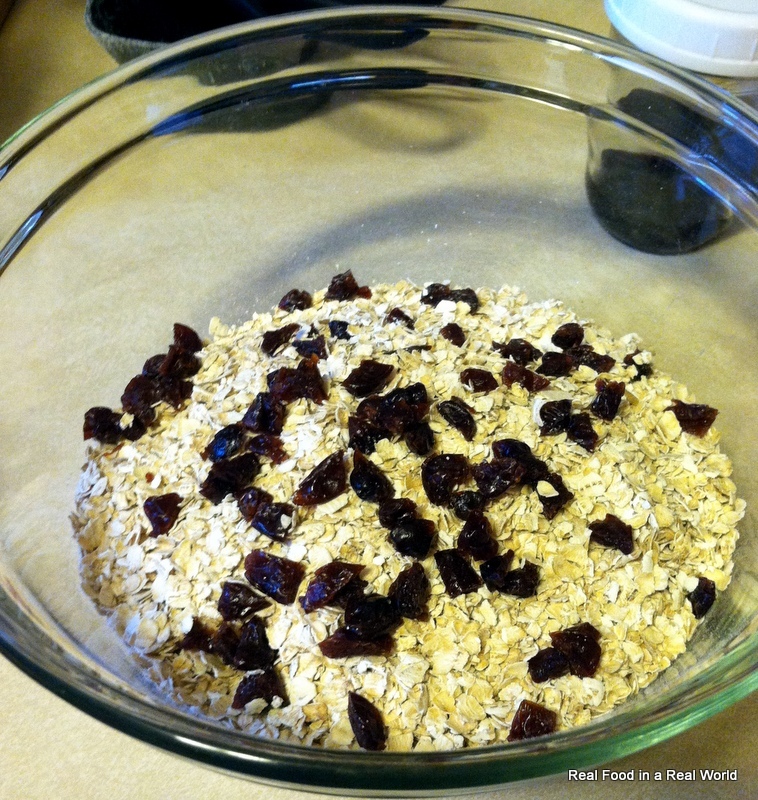 Once mixed, form the bars by spreading the mix out on a cookie sheet covered with a sheet of parchment paper. 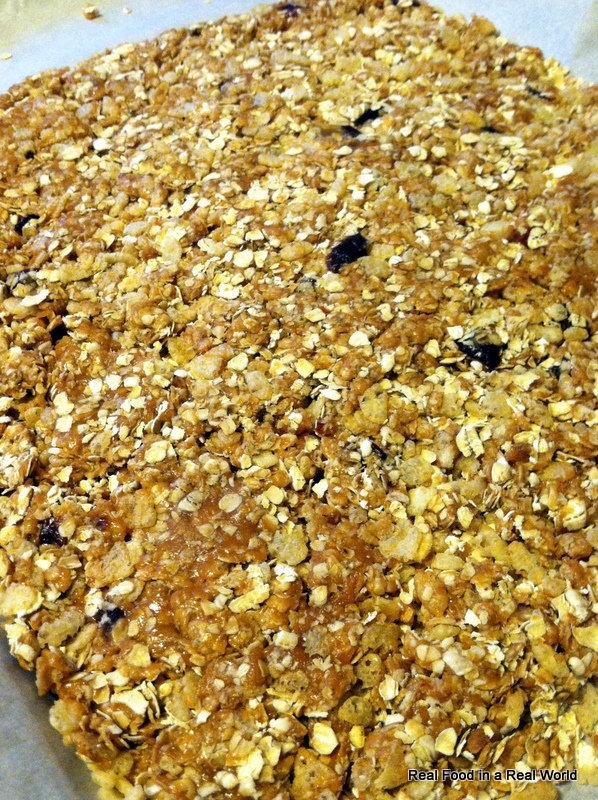 Press down the mixture firmly and you will have one big sheet of delicious. If you want to add chocolate, this is the best time, just sprinkle the chips and press them down. You will get some melting, I encourage licking your hands. Let it cool for a few hours. Once cool, cut into bars. A pizza wheel cutter is perfect for this job, but any knife will work. I’m cheap I love to recycle, so I cut the used parchment into rectangles and wrap the bars individually in the parchment. 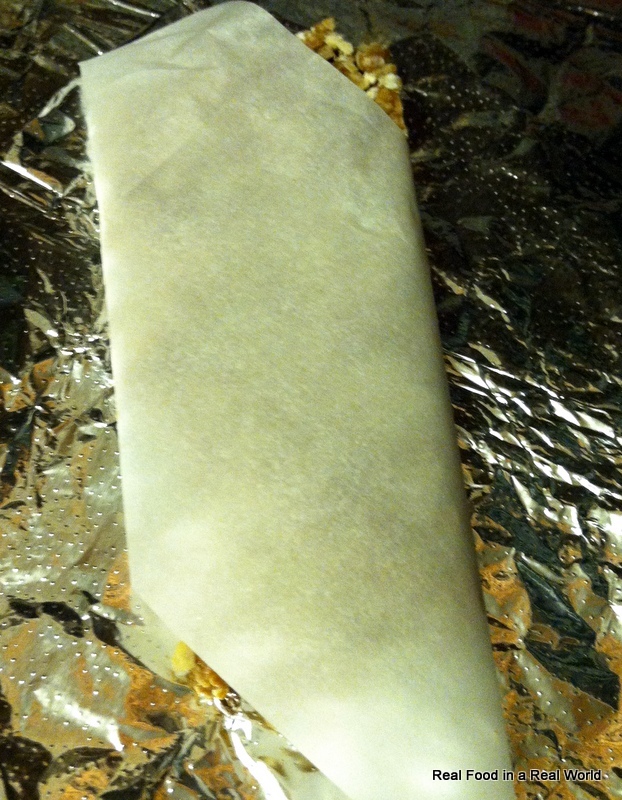 I then wrap in foil to maintain freshness. Plus my husband is a mechanic, and takes these to work. Layers of protection to protect them from shop grime. Sure, I could go all Pinteresty and wrap them in ribbon and bows, but I keep it real here! I have sampled these. They are awesome. Mom-approved! That’s better than a James Beard award! Thank you! I’m so impressed with how simple they are to make. It’s nice to know everything in them too! Definitely. My husband is not a breakfast eater so I send these with him for a little morning snack. When I make them with chocolate they are a wonderful sweet snack too. I will be making these! What can I substitute with the rice cereal? We aren’t buying that anymore. Puffed rice if you still want that crunch you would get from the cereal or just more quick oats. 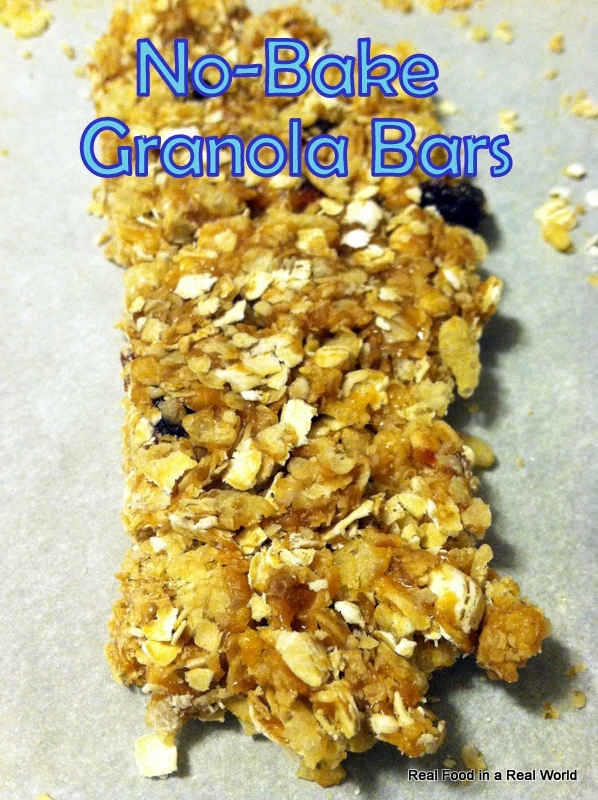 The cereal makes them lighter and more like the grocery store “granola” bars, an with more oats it is more dense. 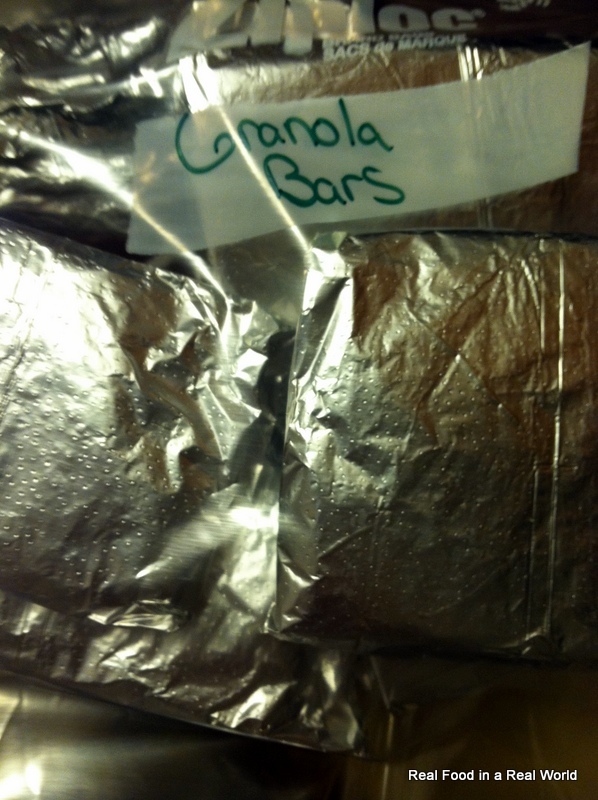 My mom makes them and coats them with melted chocolate, tastes like dessert bars!